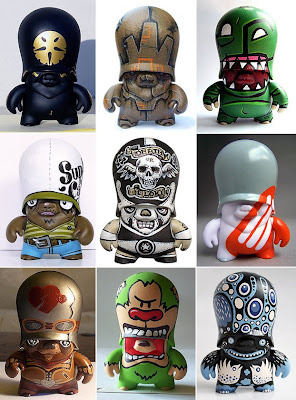 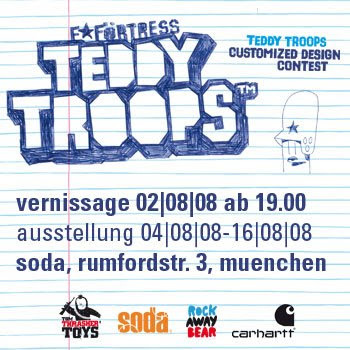 Have a sneak peak on the customized 3" Teddy Troops from the Tom Trasher Action Toys contest. 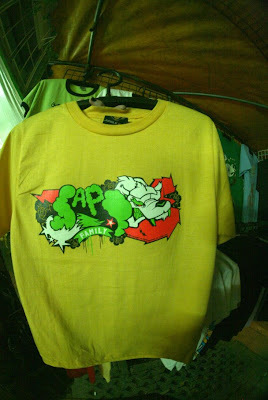 Thanx to Keflione to send me in this photo showing a rip-off design from one of my older graffs printed on a t-shirt on a Thai market... Also the font is stolen from my friend KOA. 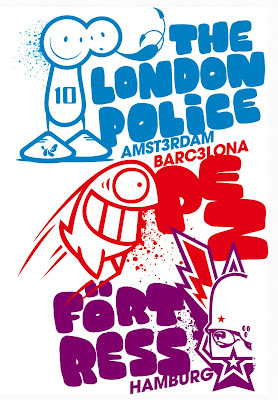 Just 2 weeks later we now gonna have our tour stop in Barcelona. 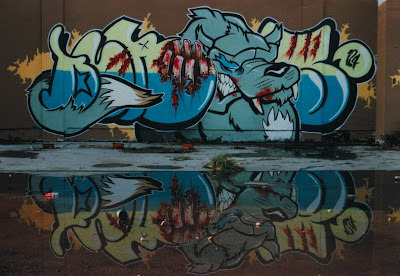 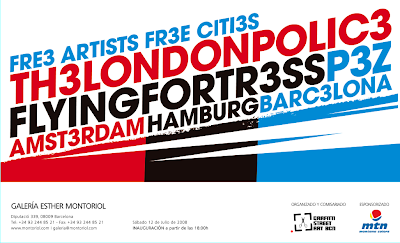 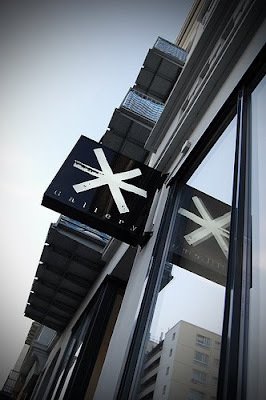 See some nice flix from the opening night of the "FRE3 ARTISTS - FR3E CITI3S" show at the Vicious Gallery in Hamburg on Parprototo's flickr site.